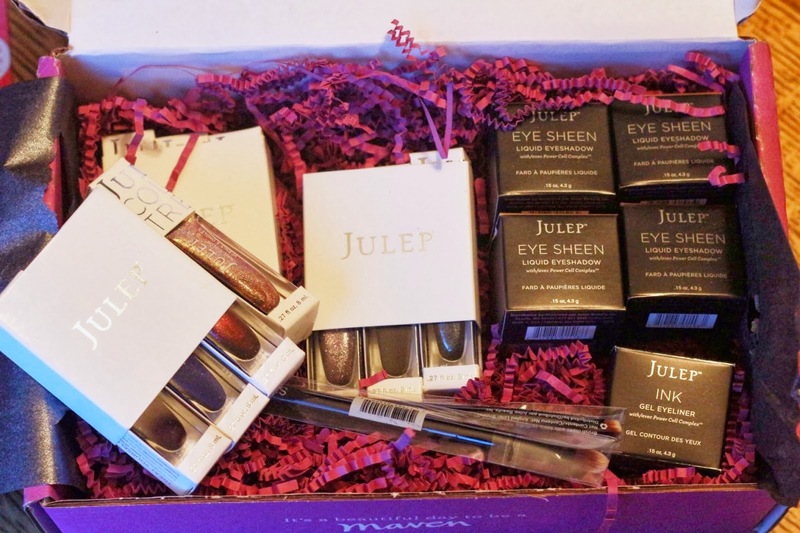 It's safe to say I was very excited for February's Julep Maven box to arrive. I looked at all the spoilers I could find, and woke up early on the 20th to pick and chose the contents of my box. I think I'm a nail polish addict now, it's official. 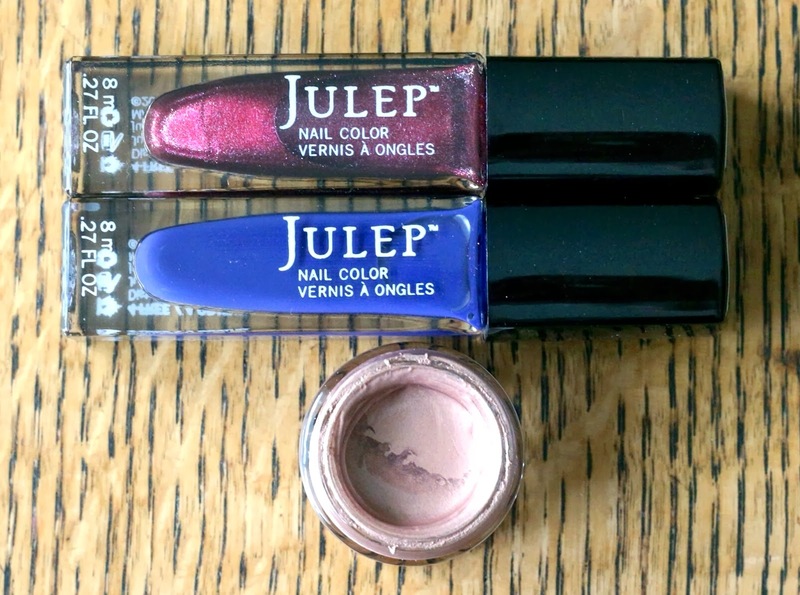 This month's box was the Dramatic collection, and once again, I couldn't pass up anything this month and I upgraded to the Ultimate Upgrade with all the polish and eye sheen colors. 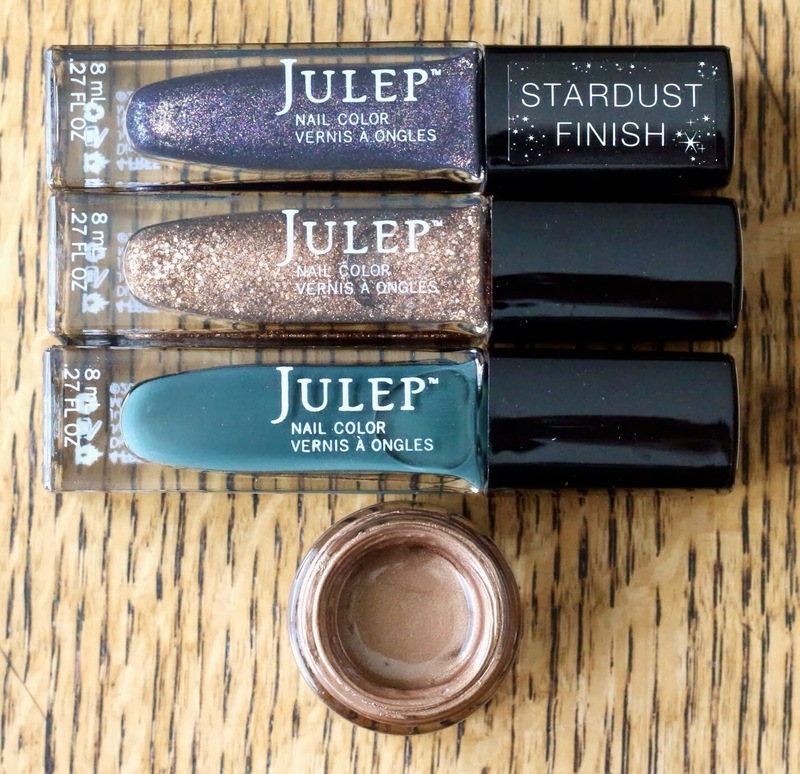 I did really want to get the Glitter Nail Polish Removal Kit and Goldie, the add ons for this month, but I'm trying to save a little bit of money, so I managed to resist. They originally allowed you to skip a month anytime you wanted, but they've recently changed their policy, much to the dissatisfaction of many of their customers to only allow 1 skip every 6 months for those Mavens who subscribed after December 18th. Luckily, I signed up right before then, on December 10th or something like that so I am what they're calling "grandmothered" in to the original skip-all-you-want plan. Box all wrapped up! January's box came to me in 1 envelope and 2 separate boxes, so it was nice to get everything in one box this month! 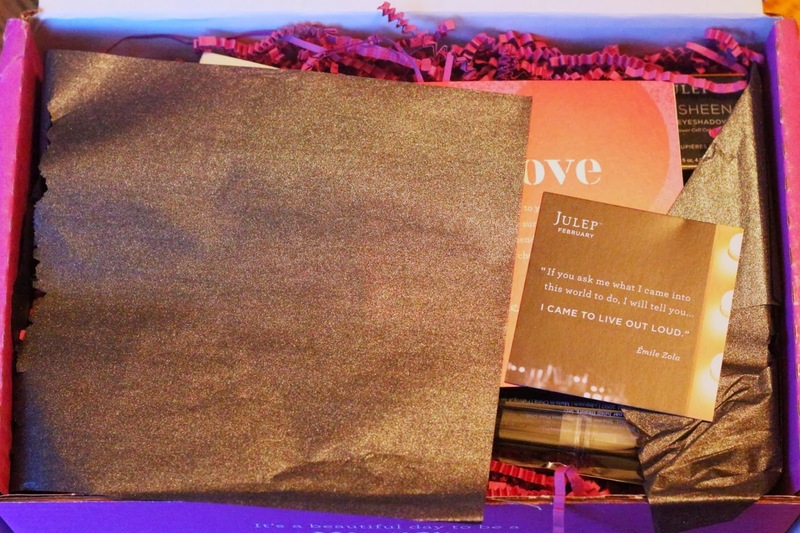 While I like how nice the Julep packaging is, it seems a bit wasteful to me. The eye sheens were just a fraction of that box shown, and the white package each polish is in, then the white envelope thing that does over that all gets tossed for me. I take a few minutes to get everything out of it all and toss it with my box. Cameron - ($14) Silver lilac stardust finish; another stardust finish! I love these finishes! Glam Roc - ($14) Midnight purple and gold glitter stardust finish; I was super excited for these stardust finish polishes because they said they were very similar to the sea salt finishes they have, which I have Sadie in this finish and it is beautiful! Ink Gel Eyeliner - ($22) I actually tried this and it works really well. The angled brush is perfect for it, and you only need a tiny bit on the brush, it doesn't smudge, and it was very easy to get a straight line. Love - Gold, pearl, and fuchsia microglitter; this was Jane's free gift this month to all Mavens, which is great considering they didn't email subscribers about the skip policy change...whomp whomp. I really do love this color though. I already have plans for my Valentine's Day mani, which involves a date with red polish dipped in red glitter from my Birchbox, bonus points if I can manage to get glitter all over my boyfriend, but maybe I'll use this as an accent nail color. Some nail art I did with Greta, Judi, and Diamond Theory. My left hand came out pretty well, but the right not as much. It involves using the corner of scotch tape, painting, then peeling off immediately. Must let each layer dry COMPLETELY before painting the next. I may have been a little impatient sometimes and didn't let some layers dry completely. It'll be interesting to see how the eye sheens work, they seem very liquidy and tend to get all over the lid. I wouldn't travel with them, I would be afraid they'd leak. 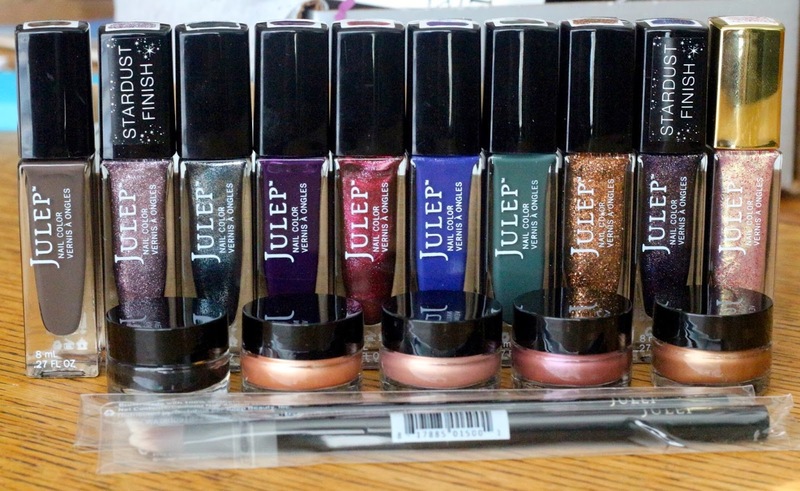 Otherwise, I love this month's collection, I can't wait to try all the colors! 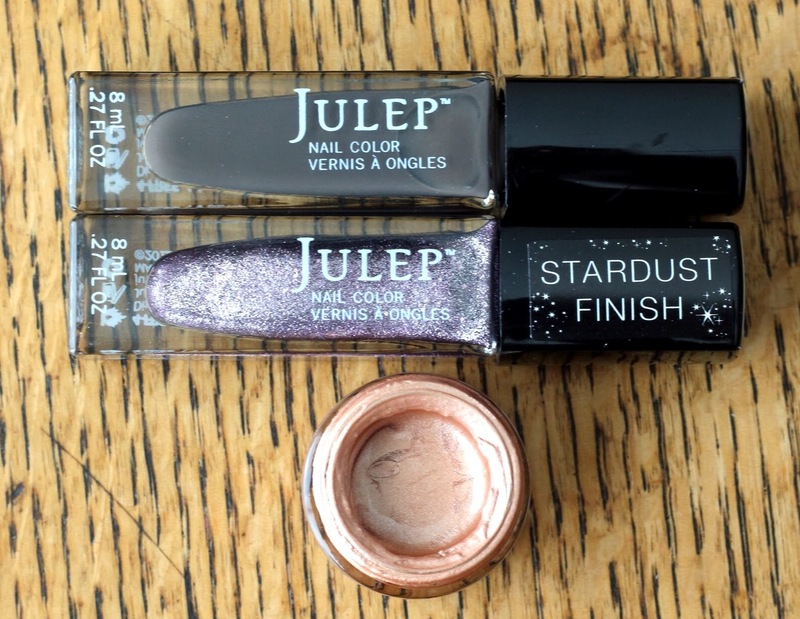 Updated 4/21: New Julep Mavens can customize their box as much (or as little) as they like. Sign up for 1 month and pay $24.99/month, or sign up for 3 months and pay only $19.99/month! Take the style quiz and enter FREEBOX at checkout to get your first box free, just pay $2.99 for shipping! What do you think of this months box? Which collection did you pick? Did you get any add ons? Let me know in the comments! 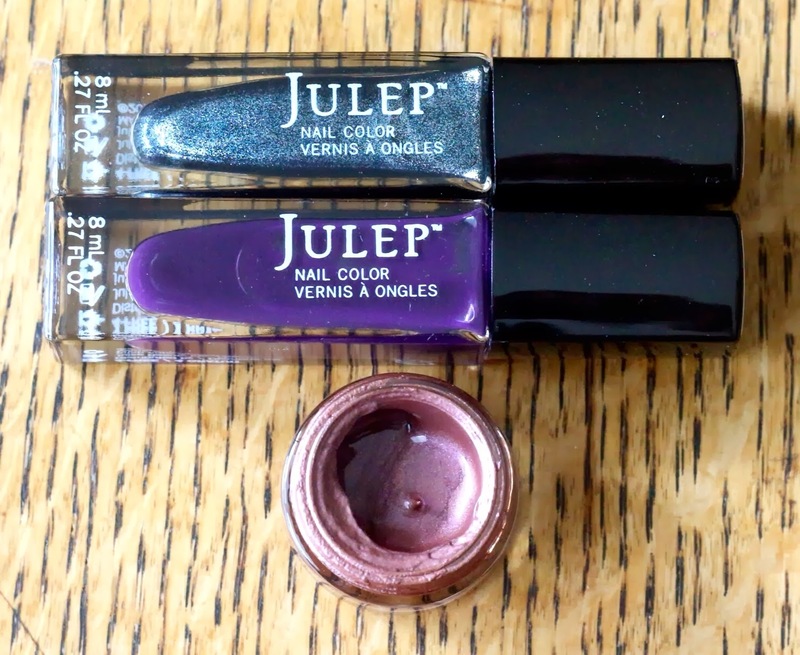 For all other Julep reviews click here. Great review! I opted for the bombshell box, but your review is making me wish I would have gotten the entire collection! 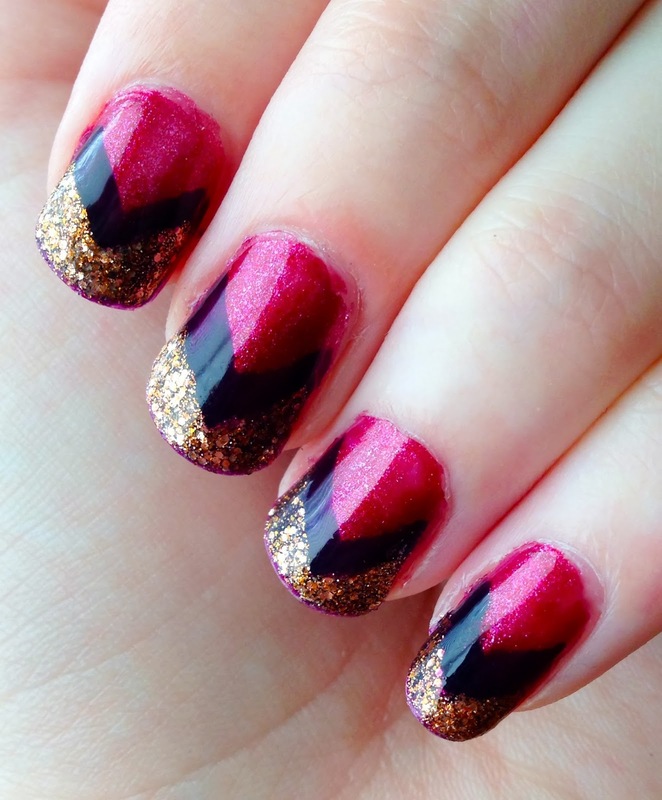 Also, I'm totally jealous of your creativity and SKILL with doing your nails! I am definitely not patient enough to do that. They look beautiful! Thank you! I have to admit I had help from some Scotch tape, and I wasn't patient either!